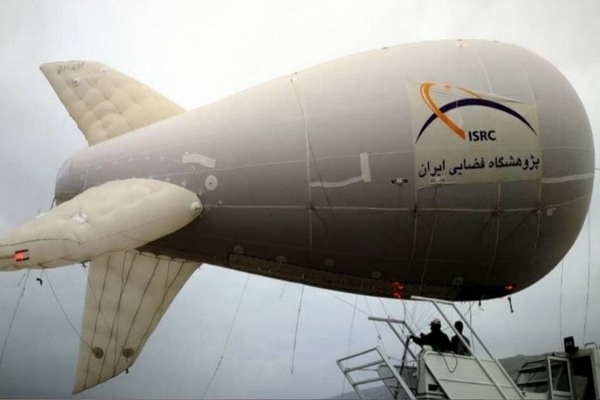 Iran’s minister of communications and information technology says internet balloons as well as emergency phone lines have been set up in flood-hit areas in west of the country. Mohammad Javad Azari Jahromi said the situation is back to normal in Pole-e-Dokhtar region in Lorestan province, one of the worst-hit areas. 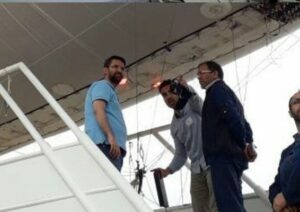 “Thanks to the efforts made, communications lines have been restored in all towns and cities of Lorestan province, and the second-generation [internet service] and SMS services are back on line,” said the minister while visiting flood-affected areas, vowing to restore 3G and LTE services soon. He further touched upon the setting up of a new fibre-optic network in Pole-e-Dokhtar. “The old fibre-optic [network] has been destroyed, but replaced with a new one,” he said. “The first fourth-generation mobile phone site has become operational as well,” the minister added. “Internet balloons have also been put in place in Pole-e-Dokhtar,” he said. He noted the ministry has envisaged short-term plans to restore equipment destroyed in flash floods. Azari Jahromi underlined the most fundamental infrastructure is that of banks. “Our priority is to resume banking activities,” he said. “The Post Bank and Bank Ansar are active again, and 500 POS devices for e-trade have been sent to these areas,” the minister said. He said new emergency phone lines have also been set up to contact police, hospitals, etc. “Communications lines in Pole-e-Dokhtar are back to normal, and their capacity has increased by up to 4 times,” the minister said. He noted the ministry will continue to offer free-of-charge services to people. Azari Jahromi described as “unbelievable” the damage inflicted by floods. “Yesterday, I randomly visited some of the affected areas. People had some grievances, but they treated us well,” he said. The minister said around Rls. 15 trillion worth of damage has been inflicted on the country’s communications network, and around a fifth of that was suffered by Pole-e-Dokhtar alone.